Jobs Description: Visit our site to check WAPDA Jobs December 2018. 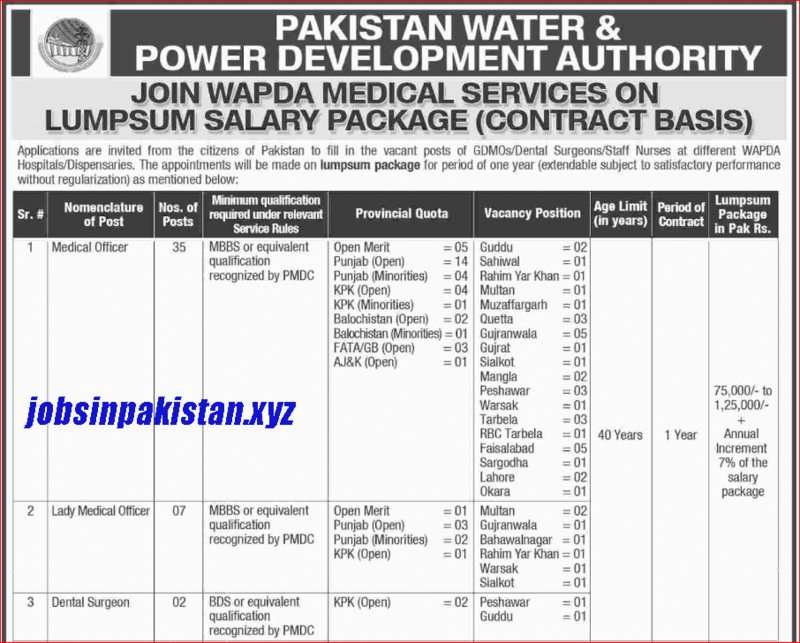 Pakistan Water & Power Development Authority recently announced an advertisement for Jobs of Medical Officer, Lady Medical Officer, Dental Surgeon, and Staff Nurse. 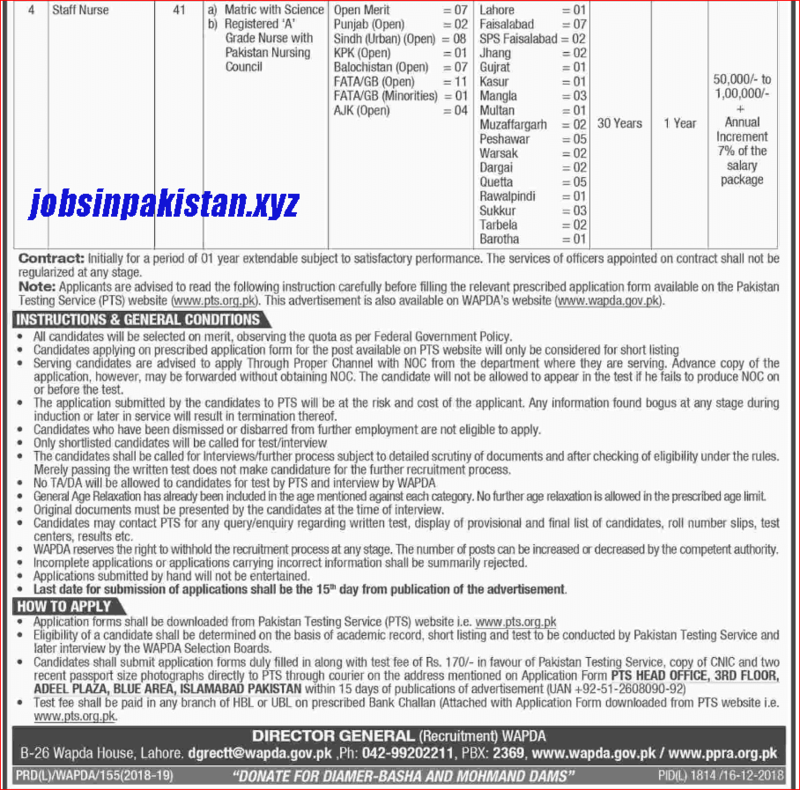 Pakistan Water & Power Development Authority has required the applications for following jobs. How To Apply: Application forms are available on PTS (Pakistan Testing Services) website. The interested candidates may send their applications to PTS Head Office Islamabad.